The fire department has left and the investigator tells you the house is clear. Too often families are left with a burned, wet mess and just their own resources to figure out this process. We want you to have the best chance for a successful restoration process. We feel like giving you the most information up front can help you recover with the best possible outcome. The actions you take immediately following the fire make the difference in minimizing the loss suffered to you as well as your property. Taking the proper actions and making wise decisions immediately following the fire or smoke damage are critical in minimizing the “secondary damage”. What just happened to my house? Water extinguishes the fire, but the excessive amounts necessary can cause additional damage. Proper extraction and drying of the moisture can salvage your personal property and the structure. Soot is very acidic and can corrode items over time. There is a greater possibility that items can be salvaged if they are addressed quickly, efficiently and effectively. Often the property is in a compromised state. Maybe windows were broken, a door might have been knocked down, part of the roof is missing or walls might have collapsed. Your next step should be to find a company that you trust and can feel comfortable hiring to provide the following services necessary to put your life back together. Property Preservation: Securing your property is essential at this point in order to: protect anything that is left,prevent the elements from creating more damage and prevent anyone from getting into the home and getting injured. Mitigation/ Structural Drying: Often after a fire there is plenty of the structure that has been salvaged by the actions of the Fire Dept. But that can also mean that there is an excessive amount of water present in the home. If those areas are not cleaned up and dried immediately then there is a significant risk for secondary damage. Your insurance company wants you to get started as quickly as possible to address these concerns and ensure that the damage is minimized. Waiting until the insurance company has been onsite and created a repair scope will only delay your return to normal. Your goal should be to get back to normal as fast as possible. Choosing a company that can provide all the required services can often speed up your recovery. Contents: In a typical fire you will need someone to inventory and pack-out your contents, clean your contents, clean the structure and make any necessary building repairs. Contents would be textiles, hard goods, furniture and electronics. You need someone that can work with the insurance company and ensure that all of these items are addressed appropriately and the repair scope is accurate. Repair: The repair of your structure is vital in ensuring an adequate restoration. 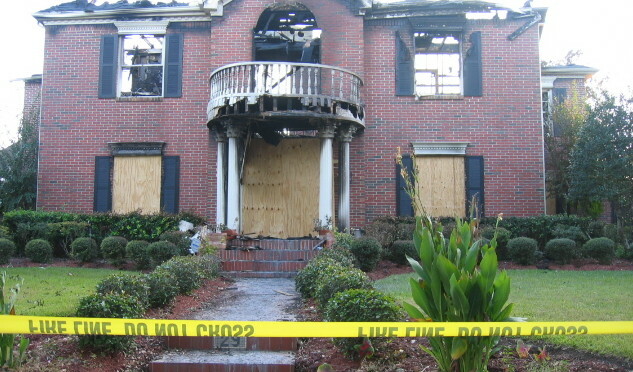 It’s not just about fire damage, smoke and soot can often be hidden from sight. Knowing the appropriate steps to completely clean the structure is important to prevent future issues.